It had to happen. 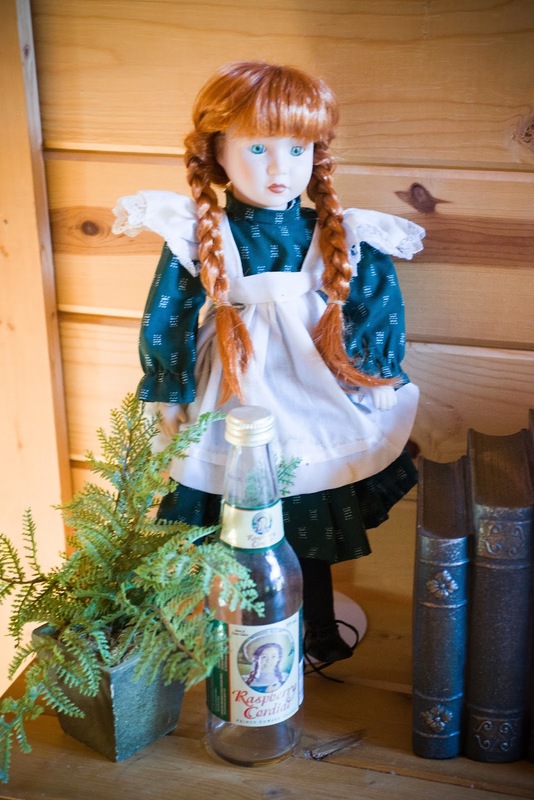 I really needed to throw an Anne of Green Gables tea party this year to coincide with the Lucy Maud Montgomery Reading Challenge. I didn't have an Anne party last year and I missed it. Must have parties! Must dress up and drink out of pretty cups! This year my daughter was old enough to play co-hostess with me and be a part of the action which made it even more fun and special for me. Here are a few glimpses into our event. First, we set the mood with some music. You might want to hit "play" on the following piece before continuing on with the post. We had the Anne Of Green Gables soundtrack playing in the background during our party. 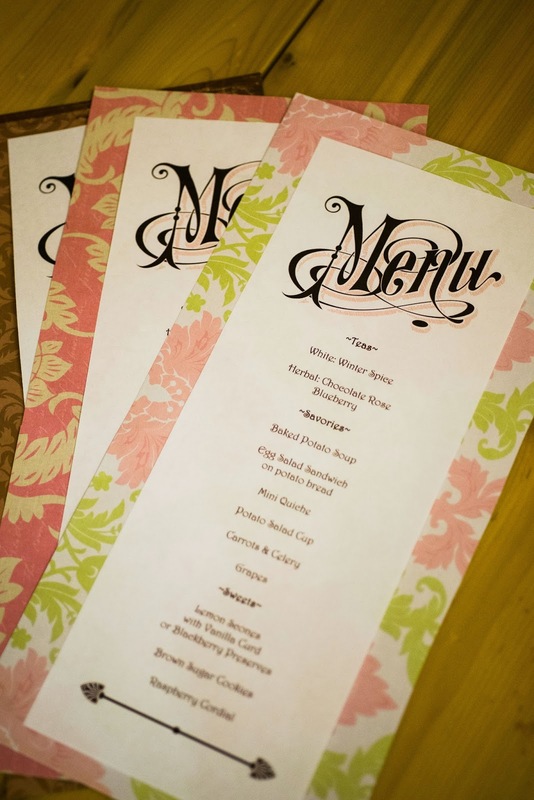 ***** The menu was designed with older and littler girls in mind. I opted for a mommy/daughter tea so that young girls could come and enjoy not only a tea party but a bit of Anne Shirley as well. (I think both are important. We have to pass these things down to the next generation of females.) 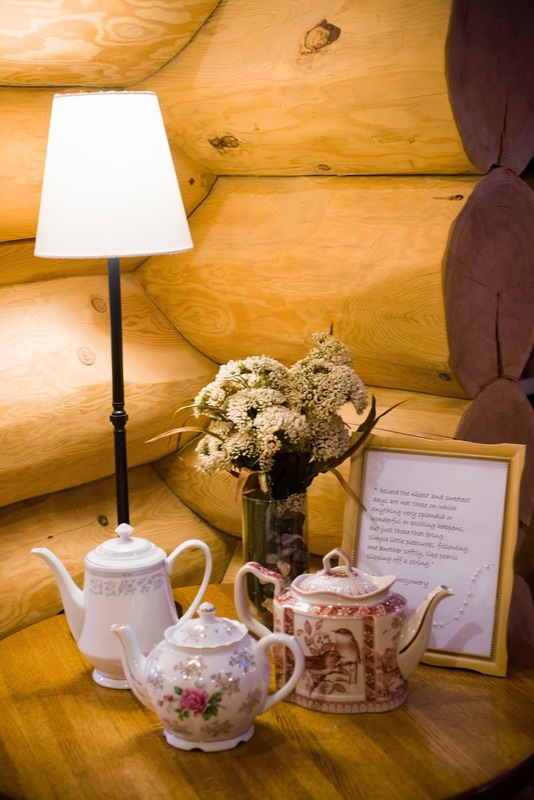 The menu included baked potato soup, egg salad sandwiches on potato bread (potatoes being one of PEI's chief crops which are exported out), mini quiches and scones. I made lemon scones which were served with vanilla curd (which I hadn't tasted before but YUM) and blackberry preserves. We had brown sugar cookies ("twenty pounds of brown sugar...") and Anne's most famous drink. (I used this recipe for raspberry cordial.) Fourteen guests were in attendance and we enjoyed our tea (Chocolate Rose, Winter Spice, and Blueberry) and conversation. I particularly enjoyed being able to merge a few of my social circles and introduce a few of my "bosom friends" to one another. Very, very fun. Ever since becoming a wedding photographer I've come to deeply appreciate how you can set the atmosphere for an event with your decorations and attention to details - even in the layout of the room. I never would have thought it so important before, but taking time to make a table eye-catching really does "speak to the soul" in a way. (At least, that is very true for me.) This is not to say that the only way you should consider practicing hospitality is if you "go elaborate" because that's most definitely not true. There are times when simplicity should reign supreme. Part of my hospitality philosophy, if you will, was shaped when I attended this conference last year. The point of the conference was that our kitchen tables are the place where we offer the greatest service and ministry to our families and to our community. How's that? Well, being that we all are designed with the physical need for food, it is the greatest way that you can connect with another and let them know that you care about them enough to meet that basic need. Buy someone a new book or a framed print or some trinket and they will enjoy it and think it lovely but it doesn't address their inner need such as serving them a meal would. It is easy for us to recognize love and sacrifice when someone else takes the time to prepare a meal for us to feast upon....one that doesn't cost us anything. We know then that we have received grace at the hands of another. We know then that if they had not made the meal for us, the responsibility would have fallen to ourselves to find the food and prepare it. A well-laid/well-prepared table as the ability to let a person know that you not only know of their need but you have worked to delight them by serving them something that they love or something that is laid out in a manner that delights their senses. Anyway, attending the conference gave me plenty of, er, food for thought on how to bless others at my table. Please understand that I am well aware of the fact that I have plenty of room for improvement! But the only way I can improve is if I have people into my home to practice on. (The glory and beauty of it is that even when I'm practicing I am being blessed by their presence and company as well! A win-win!) All of the above may sound like something of an aside and perhaps it is but that teaches does play a crucial role in my desire to have people into my home and create an atmosphere that delights the senses and allows them a few moments of peace and happy in a chaotic world. 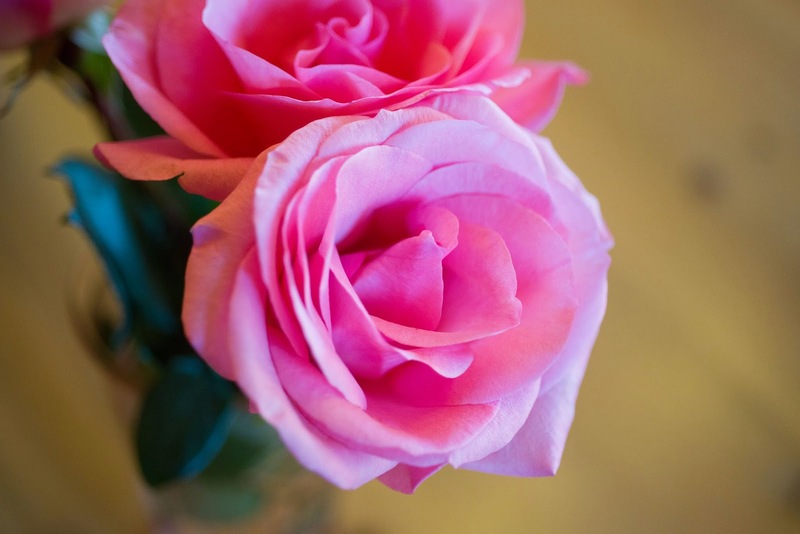 One of our guests brought some beautiful pink roses to share. So pretty I might even be tempted to put them on my hat (if I had one)! "Anne, Mrs. Rachel says you went to church last Sunday with your hat rigged out ridiculous with roses and buttercups. What on earth put you up to such a caper? A pretty-looking object you must have been!" "Oh. I know pink and yellow aren't becoming to me," began Anne. "Becoming fiddlesticks! It was putting flowers on your hat at all, no matter what color they were, that was ridiculous. You are the most aggravating child!" "I don't see why it's any more ridiculous to wear flowers on your hat than on your dress," protested Anne. 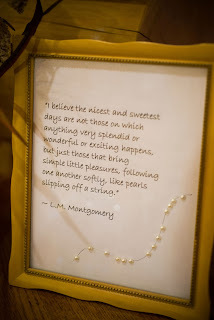 "Lots of little girls there had bouquets pinned on their dresses. What's the difference?" 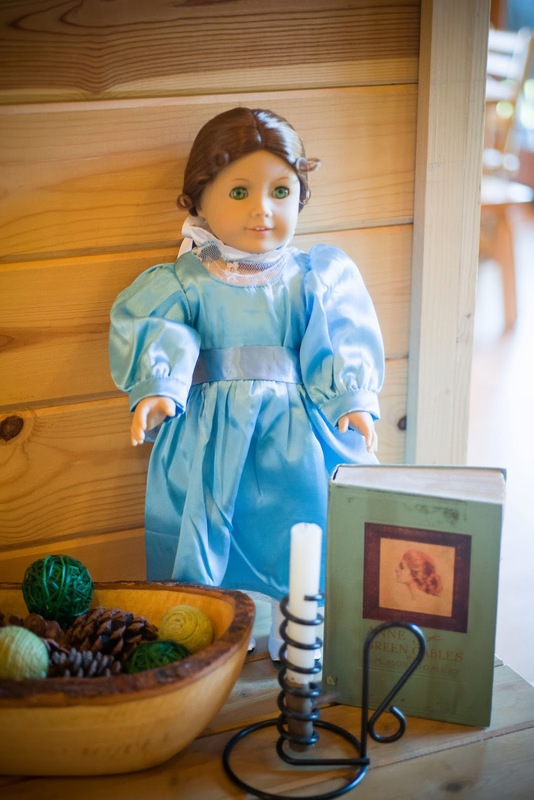 Marilla was not to be drawn from the safe concrete into dubious paths of the abstract. "Don't answer me back like that, Anne. It was very silly of you to do such a thing. Never let me catch you at such a trick again. Mrs. Rachel says she thought she would sink through the floor when she come in all rigged out like that. She couldn't get near enough to tell you to take them off till it was too late. She says people talked about it something dreadful. Of course they would think I had no better sense than to let you go decked out like that." "Oh, I'm so sorry," said Anne, tears welling into her eyes. "I never thought you'd mind. The roses and buttercups were so sweet and pretty I thought they'd look lovely on my hat. Lots of the little girls had artificial flowers on their hats. I'm afraid I'm going to be a dreadful trial to you. Maybe you'd better send me back to the asylum. That would be terrible; I don't think I could endure it; most likely I would go into consumption; I'm so thin as it is, you see. But that would be better than being a trial to you." Anne of Green Gables, Chapter 12"
All together, it really was a beautiful day and a beautiful tea party. Frankly, it's so easy not to do special events such as these. It's so easy to come up with excuses and find ways to be busy about other things. However, I think parties and special occasions such as these one are important to keeping community with one another. Sharing lives with our daughters and passing down traditions, both of food and literature is also important. I'm glad I didn't make any excuses this year. I wouldn't have wanted to miss out on celebrating life (and one of my favorite literary characters) with my friends! I think I deserve (need!) an Avonlea party for my 40th birthday! I'd already considered it, but this confirms it! 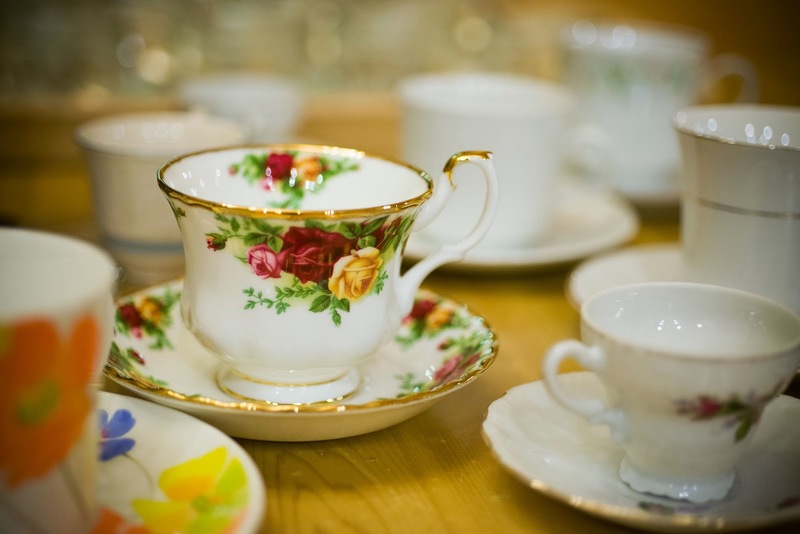 That teacup you love (& found at Goodwill, I might add)? It's a part of my wedding collection! What a great idea! those cups are beautiful! How lovely, Carrie! Thanks for sharing this with your readers--I'm going to send Monica the link as I know she'd love to see this. You mean you didn't bake a cake flavored with anodyne liniment? I love that you held such a lovely tea party! It sounds delightful! Very, very, VERY fun. Good job, and good mama!! Such a beautiful way to have fun, pass on tradition and create memories for a lifetime! This looks like so much fun!!! 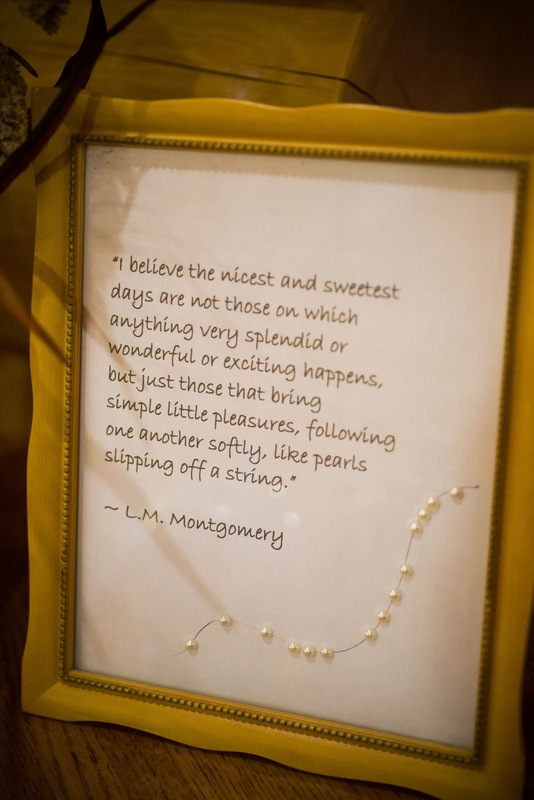 I love the framed print you made with the little pearls. I saw the Carrots one on Pinterest, too - fun! You inspire me greatly in the world of hospitality! (in many areas, really!) I'm the #1 excuse maker when it comes to having people in my home, but you always make me rethink those excuses. I love this. Love, love, love. I got a copy of AofGG for my birthday and had hopes of a movie party with friends (or at least my own girls) and have yet to pull it off. December was so busy (still my excuse even though January is now over) but I know it would be so much fun. Thanks for the inspiration. What a wonderful party! Your teacups are BEAUTIFUL. 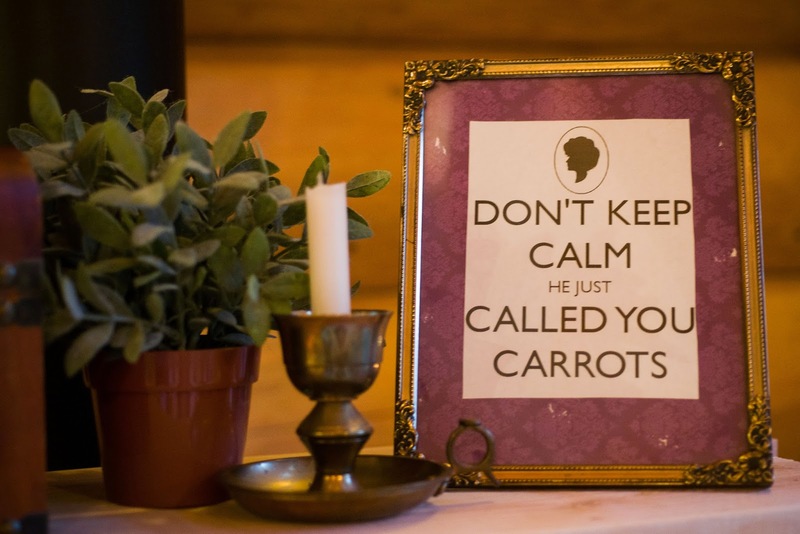 That print about "he just called you carrots"... oh, so witty!